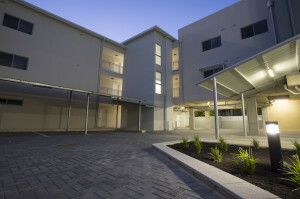 Providing property management, property maintenance & rental properties in Perth’s northern suburbs. Our team at Karinda Real Estate strives to consistently deliver outstanding results for our clients with total integrity and transparency. With 15 years’ experience in Property Management, and being part of a property developing and investment family, we understand the importance of having your property looked after – the right way! We do not have a ‘one size fits all’ approach to property management services and fees. We can tailor a package of property management services specifically for your requirements so that you only pay for the services you need. We act as the central point of contact between you and your tenant, giving you the peace of mind of never having to deal with your tenant directly, but still have control over expenditures and decisions regarding your property. Putting your investment in the hands of our team, will be the best decision you have ever made, for peace of mind, total reliable and efficient service. RENTAL APARTMENT & UNITS ROCKINGHAM FORESHORE $285.00 PER WEEK Imagine yourself living right on the door step to one of the best urban foreshores along this West Australian great coast line. Enjoy the relaxed coastal lifestyle from this modern 1 bedroom 1 bathroom apartment right across from the park. More info. © 2013 Karinda Real Estate. Subscribe.